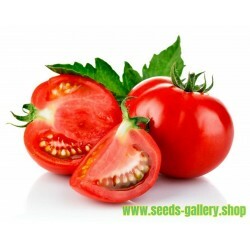 Price for Package of 150+ seeds. An early, sweet variety of radish producing brilliant red, round roots which will stay crisp over a long period. The radish (Raphanus sativus) is an edible root vegetable of the Brassicaceae family that was domesticated in Europe, in pre-Roman times. They are grown and consumed throughout the world. Radishes have numerous varieties, varying in size, color and duration of required cultivation time. There are some radishes that are grown for their seeds; oilseed radishes are grown, as the name implies, for oil production. Radish can sprout from seed to small plant in as little as 3 days. The descriptive Greek name of the genus Raphanus means "quickly appearing" and refers to the rapid germination of these plants. Raphanistrum, from the same Greek root, is an old name once used for this genus. The common name "radish" is derived from Latin radix (root). The radish has been used over many centuries. Although the radish was a well-established crop in Hellenistic and Roman times, which leads to the assumption that it was brought into cultivation at an earlier time, Zohary and Hopf note that "there are almost no archeological records available" to help determine its earlier history and domestication. Wild forms of the radish and its relatives, the mustards and turnip, can be found over west Asia and Europe, suggesting that their domestication took place somewhere in that area. However Zohary and Hopf conclude, "Suggestions as to the origins of these plants are necessarily based on linguistic considerations." Radishes grow best in full sun and light, sandy loams with pH 6.5–7.0. 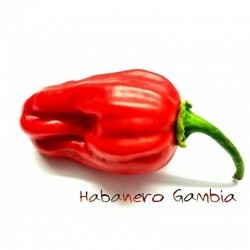 They are in season from April to June and from October to January in most parts of North America; in Europe and Japan they are available year-round due to the plurality of varieties grown. Summer radishes mature rapidly, with many varieties germinating in 3–7 days, and reaching maturity in three to four weeks. Harvesting periods can be extended through repeated plantings, spaced a week or two apart. As with other root crops, tilling the soil to loosen it up and remove rocks helps the roots grow. However, radishes are used in no-till farming to help reverse compaction. Radishes are a common garden crop in the U.S., and the fast harvest cycle makes them a popular choice for children's gardens. In temperate climates, it's customary to plant radishes every two weeks from early spring until a few weeks before the first frost, except during periods of hot weather. In warm-weather climates, they are normally planted in the fall. Radishes serve as companion plants for many other species, because of their ability to function as a trap crop against pests like flea beetles. These pests will attack the leaves, but the root remains healthy and can be harvested later. Broadly speaking, radishes can be categorized into four main types (summer, fall, winter, and spring) and a variety of shapes lengths, colors, and sizes, such as red, pink, white, gray-black or yellow radishes, with round or elongated roots that can grow longer than a parsnip. Sometimes referred to as European radishes or spring radishes if they're planted in cooler weather, summer radishes are generally small and have a relatively short 3–4 week cultivation time. Bunny Tail is an heirloom variety from Italy, where it is known as 'Rosso Tondo A Piccola Punta Bianca'. It is slightly oblong, mostly red, with a white tip. Champion is round and red-skinned like the Cherry Belle, but with slightly larger roots, up to about 5 cm (2 in), and a milder flavor. 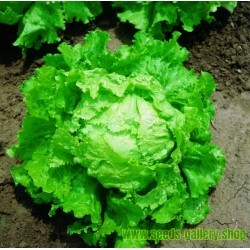 Red King has a mild flavor, with good resistance to club root, a problem that can arise from poor drainage. Sicily Giant is a large heirloom variety from Sicily. It can reach up to two inches in diameter. Snow Belle is an all-white variety of radish, similar in shape to the Cherry Belle. White Icicle or just Icicle is a white carrot-shaped variety, around 10–12 cm (4–5 in) long, dating back to the 16th century. It slices easily, and has better than average resistance to pithiness. Plum Purple a purple-fuchsia radish that tends to stay crisp longer than average. Black Spanish or Black Spanish Round occur in both round and elongated forms, and are sometimes simply called the black radish or known by the French name Gros Noir d'Hiver. 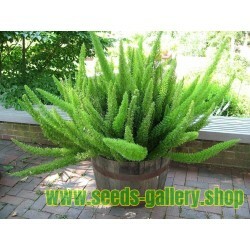 It dates in Europe to 1548, and was a common garden variety in England and France during the early 19th century. It has a rough black skin with hot-flavored white flesh, is round or irregularly pear shaped, and grows to around 10 cm (4 in) in diameter. Daikon refers to a wide variety of winter radishes from Asia. While the Japanese name daikon has been adopted in English, it is also sometimes called the Japanese radish, Chinese radish, Oriental radish or mooli (in India and South Asia). Daikon commonly have elongated white roots, although many varieties of daikon exist. One well known variety is April Cross, with smooth white roots. The New York Times describes Masato Red and Masato Green varieties as extremely long, well suited for fall planting and winter storage. The Sakurajima daikon is a hot-flavored variety which is typically grown to around 10 kg (22 lb), but which can grow to 30 kg (66 lb) when left in the ground. The seeds of radishes grow in siliques (widely referred to as "pods"), following flowering that happens when left to grow past their normal harvesting period. 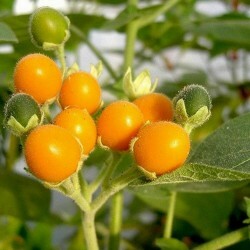 The seeds are edible, and are sometimes used as a crunchy, spicy addition to salads. 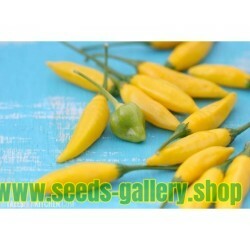 Some varieties are grown specifically for their seeds or seed pods, rather than their roots. The Rat-tailed radish, an old European variety thought to have come from East Asia centuries ago, has long, thin, curly pods which can exceed 20 cm (8 in) in length. In the 17th century, the pods were often pickled and served with meat. 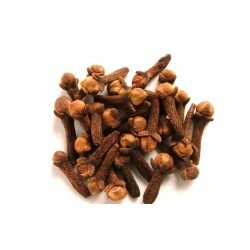 The München Bier variety supplies spicy seed pods that are sometimes served raw as an accompaniment to beer in Germany. Radishes are rich in ascorbic acid, folic acid, and potassium. 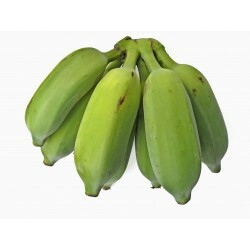 They are a good source of vitamin B6, riboflavin, magnesium, copper, and calcium. 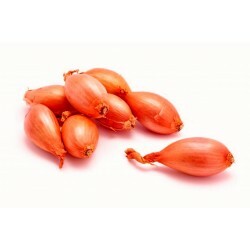 One cup of sliced red radish bulbs provides approximately 20 cal, largely from carbohydrates. The bulb of the radish is usually eaten raw, although tougher specimens can be steamed. The raw flesh has a crisp texture and a pungent, peppery flavor, caused by glucosinolates and the enzyme myrosinase which combine when chewed to form allyl isothiocyanates, also present in mustard, horseradish, and wasabi. Radish leaves are sometimes used in recipes, like potato soup or as a sauteed side dish. They are also found to benefit homemade juices; some recipes even calling for them in fruit based mixutres. Citizens of Oaxaca, Mexico, celebrate the radish in a festival called Noche de los Rábanos (Night of the Radishes) on December 23 as a part of Christmas celebrations. Locals carve religious and popular figures out of radishes and display them in the town square.